Summary Update 2! 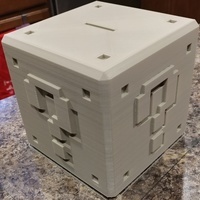 I had been working on a bank plug and I'm happy to say that it is finally complete! 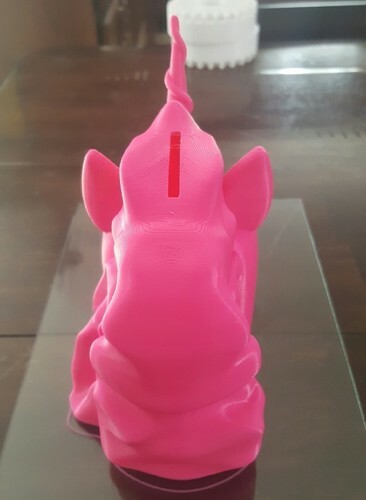 It prints with no supports and will pop in and then stay put until popped out. Update! The file has been updated because of some failed prints. The coin slot was moved to allow an easier print. 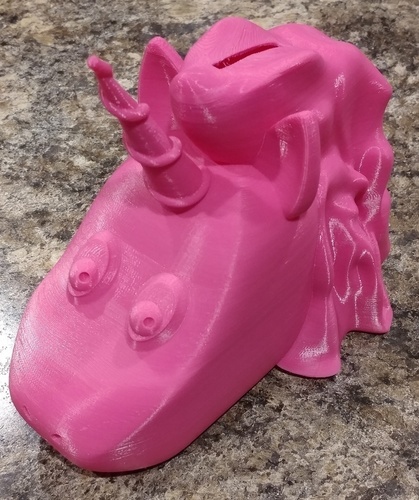 There is still a fairly steep overhand on the bottom right of the mane (when looking at the face of the unicorn) but my printer was able to print this without a problem. you might want to add a support or two there though. 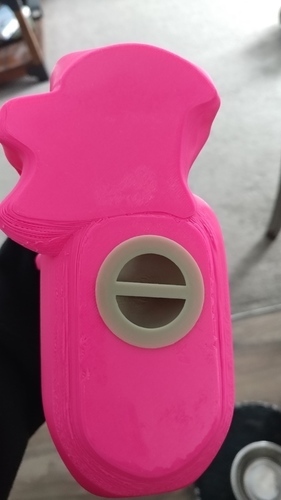 The Previous file has been removed Print with either 3 walls, 10% infill. 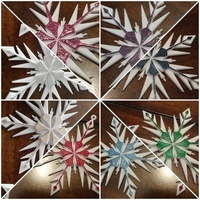 I will be adding a stopper at some point in the next few days. 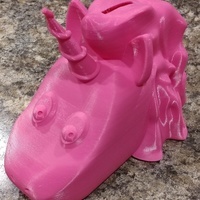 :-) Enjoy It was requested that I turn the unicorn into a bank, so I did but I have not printed this out yet so I'm not 100% sure that it will work without supports inside. I will be testing it out later on this week. 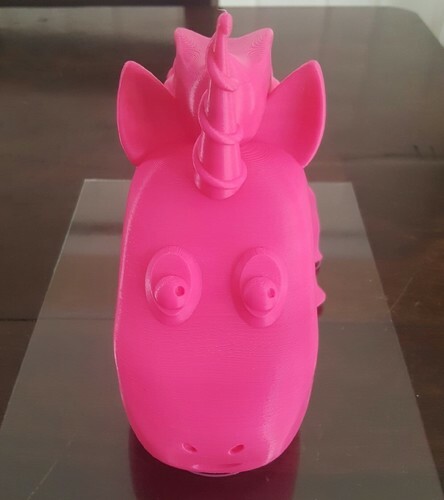 Print Settings Resolution: .2mm Infill: 10% Notes: You may want supports on the lower left corner where the mane connects to the head. It wasn't necessary on my printer but it might be on yours. 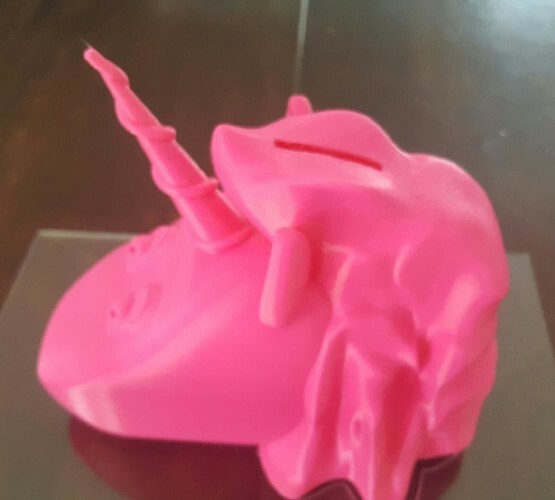 How I Designed This This is how I designed the unicorn And this is how I turned it into a bank.